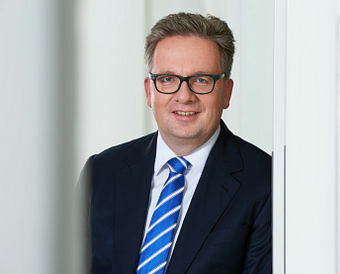 DÜSSELDORF, Dec. 10, 2014 – Michael Rauterkus (47) has been appointed by the Supervisory Board of Grohe AG to the position of CEO with effect from 1 January 2015. The announcement was made following the last Supervisory Board meeting. Rauterkus takes over this function from David J. Haines, Chairman and CEO of the GROHE Group S.à r.l. and Chairman of the Supervisory Board of Grohe AG. Michael Rauterkus has served as Chief Sales Officer of Grohe AG since October 2011, and has been responsible for the regions EMEA (Europe, the Middle East and Africa) as well as North and South America. He also has held the position of Managing Director of Grohe Deutschland Vertriebs GmbH since 2006. Ever since, he was also in charge of the Central Europe sales region, and from 2009 of the entire Europe sales region. Since joining GROHE, Michael Rauterkus has focused particularly on professionalising sales and has been instrumental in promoting the company’s positive performance. Alongside his position as CEO of Grohe AG, he will from April 2015 also serve as Regional CEO in the new LIXIL Water Technology Group business unit, where he will be responsible for the EMEA region and for the GROHE brand globally.